US Toll Free : +1-800-897-1053 Call or Fax 9.30 to 5.30 pm EST Mon to Fri.
Cheap Generic for Aricept 10mg (Donepezil HCl 10mg) improves the function of nerve cells in the brain. It works by preventing the breakdown of a chemical called acetylcholine (ah see til KO leen). People with dementia usually have lower levels of this chemical, which is important for the processes of memory, thinking, and reasoning. Cheap Generic for Aricept 10mg (Donepezil HCl 10mg) is used to treat mild to moderate dementia caused by Alzheimer`s disease. The health and medical information provided here is for general purposes only and is not a substitute for the expertise and judgment of your physician, or other health care professional. It should not be understood to indicate that the use of this medicine is safe, appropriate or effective for you. Always consult your health care professional before using this, or any other, drug. Before taking Generic for Aricept 10mg (Donepezil HCl 10mg), tell your doctor if you have a heart rhythm disorder such as "sick sinus syndrome" (slow heartbeats), an enlarged prostate, urination problems, asthma, obstructive pulmonary disease, or a seizure disorder such as epilepsy. If you need to have any type of surgery, tell the surgeon ahead of time that you are taking Generic for Aricept 10mg (Donepezil HCl 10mg). Take Generic for Aricept 10mg (Donepezil HCl 10mg) exactly as it was prescribed for you. Do not take the medication in larger amounts, or take it for longer than recommended by your doctor. Follow the directions on your prescription label. If you need to have any type of surgery, tell the surgeon ahead of time that you are taking Generic for Aricept 10mg (Donepezil HCl 10mg). You may need to stop using the medicine for a short time. Generic for Aricept 10mg (Donepezil HCl 10mg) can be taken with or without food or milk. Take the Generic for Aricept 10mg (Donepezil HCl 10mg) regular tablets with a full glass of water. Keep the tablet in its blister pack until you are ready to take the medicine. Open the package and peel or cut the backing from the tablet blister. Do not push a tablet through the backing or you may damage the tablet. Swallow several times as the tablet dissolves. After the tablet dissolves completely, drink a glass of water. 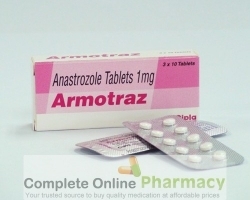 Generic for Aricept 10mg (Donepezil HCl 10mg) is usually taken at bedtime. Follow your doctor`s instructions. Disclaimer - The products mentioned are trademarks of their respective owners and are not owned by or affiliated with completeonlinepharmacy.com or any of its associated companies, The brand names mentioned on the website are only for the purpose to relate them to their Generic counterpart and it should not be construed that we have any intention to market generic drugs as brand name drugs. Information provided on this website is for general purposes only. It is not intended to take place of advice from your practitioner.